A few more stores will be added to FootHill Square Shopping Center. On the horizon are several new stores: Ross Dress4Less, Foods Co (the Ralph’s/Kroger grocery chain), Anna’s Linens and Subway Restaurant. Initially, I knew about Ross and Subway. Foods Co is a wonderful addition to the FootHill Square redevelopment model. There is ample parking and the mall is easily accessible from I-580 freeway. 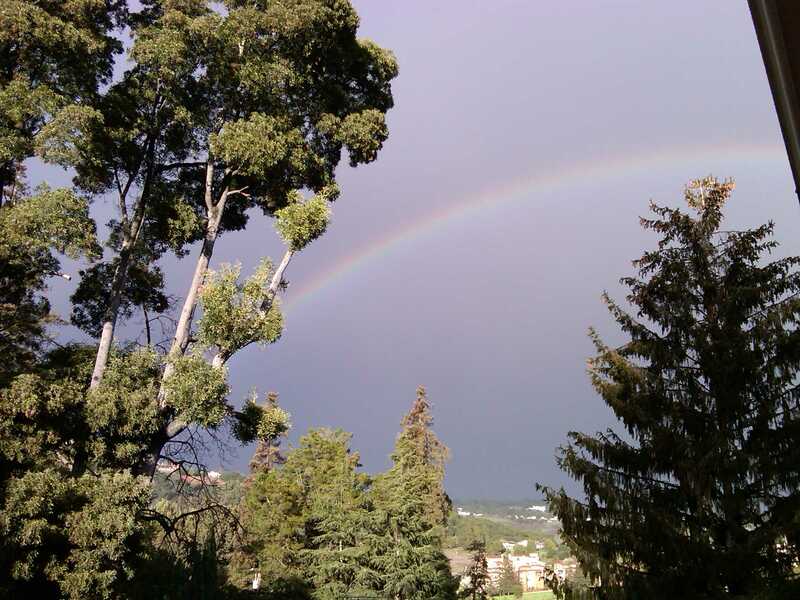 To buy homes surrounding FootHill Square, click here. Driving past Foothill Square has been heart breaking FootHill Square has been a commercial ghost town for a number of years. Albertson’s closed and that eliminated a large grocery chain for many residents in the hills and the San Leandro border. After losing Albertson’s, Walgreens closed its doors. Pizza Hut and Churches Chicken followed suit and closed their retail locations. Many of the current stores are scattered in the shopping mall have moved to one side to start the construction of Ross Dress For Less. Ross Dress For Less is speculated for the end of summer 2012. Home values should increase with the addition of new stores attracting more revenue and positive interest in the community. I’m also looking forward to increased job growth in Oakland. Let’s patronize these new stores in FootHill Square and bring revenue back to Oakland. Foothill Square is located at 10700 Foothill Oakland, CA 94605. East Oakland welcomes a new CVS Pharmacy at the Eastmont Mall. This is a welcome change to this area. After speaking with the manager, Sunny, he said the scheduled grand opening is Sunday, April 5, 2012. I spoke with local area resident and she’s extremely excited about the new pharmacy. For many living in East Oakland, including myself, it’s difficult to find commercial, big box type stores in close proximity. The nearest CVS is on East 14th St in San Leandro. This CVS is large with ample parking and a drive-thru pharmacy. I would love to see a rejuvenation of Eastmont Mall, similar to Bay Fair Mall in San Leandro. Bay Fair has great big box stores like Staples, Kohl’s, Target, Bed Bath and Beyond, and several restaurants. A few great restaurants, an Office Depot, and a K-mart or Target would bring monetary benefits to East Oakland. My pet peeve is the lack of grocery chains in East Oakland. Over the years, we have lost Lucky and Safeway. Where is WinCo, Foods Co, Food4Less, or the new Maxx Foods in Macarthur and 39th Ave? I’m thankful to Gazzali’s Market for stepping up to the plate to give local residents somewhere to buy groceries. Currently, Eastmont Mall has two clothing stores, a gas station, Subway, Taco Bell, Burger King, Sheik (shoe store) , Bank of America, East Oakland Branch Public Library, Gazzali’s Market, DD’s, McDonald’s, Auto Parts and a few other small stores and county offices. 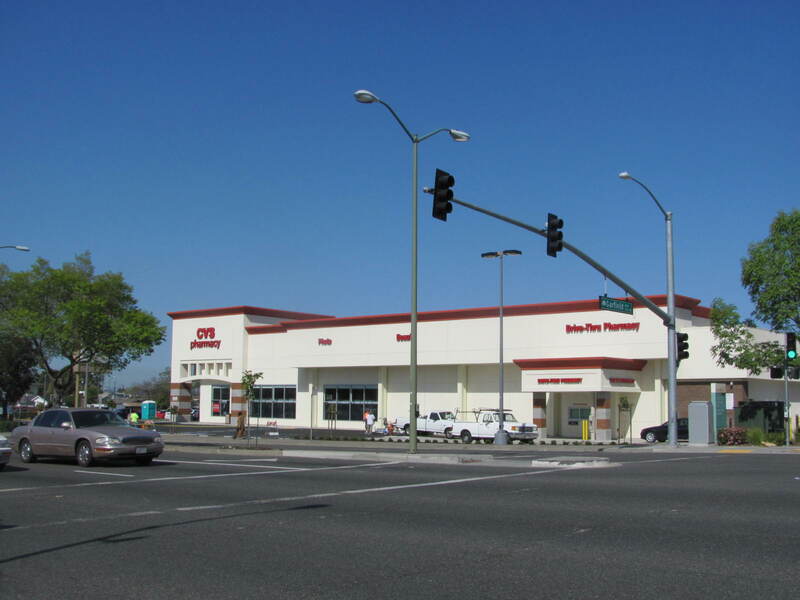 Let’s patronize East Oakland’s CVS Pharmacy at 7200 Bancroft Ave. In the last two years, only 838,000 homeowners have used the HARP program. As a result, HARP has been accused of missing the mark. On October 24, 2011, there was a major announcement made about changes to the HARP program. The biggest change is that some homeowners who are significantly underwater (over 125% loan to value) can now qualify for the program. HARP was started in April 2009. The government calls it Home Affordable Refinance Program. Fannie Mae or Freddie Mac must back your loan. Your current mortgage must have a securitization date prior to June 1, 2009. If you meet these two criteria, you may be HARP-eligible. If your mortgage is FHA, USDA or a jumbo mortgage, you are not HARP-eligible. How do I know if Fannie Mae or Freddie Mac holds the mortgage? You can use lookup tools on the Fannie Mae and Freddie Mac websites. If Fannie Mae or Freddie Mac holds the mortgage, is the borrower automatically eligible for the Home Affordable Refinance Program? No. There are a number of criteria. Having your mortgage held by Fannie or Freddie is just the beginning. What if neither Fannie Mae nor Freddie Mac has a record of the mortgage? If neither Fannie nor Freddie has record of the mortgage, the borrower is not eligible for this refinance program. Is a borrower eligible for the Home Affordable Refinance Program if s/he is behind on the mortgage payments? No. You must be current on your mortgage to refinance through this program. Will the Home Affordable Refinance Program help borrowers to avoid foreclosure? No. The Home Affordable Refinance Program is not designed to delay, or stop, foreclosures. It’s meant to give homeowners who are current on their mortgages, and who have lost home equity, a chance to refinance at today’s low mortgage rates. What are the minimum requirements to be eligible for HARP? First, the home loan must have been paid on time for the last 6 months, and at least 11 of the most recent 12 months. Second, your mortgage must have been sold to Fannie or Freddie prior to June 1, 2009. Lastly, you may not have used the HARP program before: only one HARP refinance per mortgage is allowed. Is there a loan-to-value restriction for HARP? No, there is no loan-to-value restriction. All homes (regardless of equity) are eligible for the HARP program—just as long as the borrower and the loan meet all of the other criteria. What’s the biggest mortgage you can obtain with a HARP refinance? 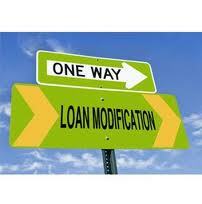 HARP refinances are limited to your area’s conforming loan limits. In most cities, the conforming loan limit is $417,000. However, in San Diego County, the current confirming loan limit for a single-family home is $546,250. If a borrower in unemployed, will s/he eligible for HARP? No. Income verification is required for the HARP refinance program. Is there a minimum credit score to use the HARP program? No. There is no minimum credit score requirement with the HARP refinance program. However, you must qualify for the mortgage based on traditional underwriting standards. While this program will open up opportunities for responsible borrowers who are significantly underwater, it is definitely not a salvation for most of those sellers participating in short sales. So, before short sale sellers get super excited about the refinance, make sure that they understand the scope of the program. Talk to you soon. Leona Greenlow-Turner. Previously, the law merely requires proof that taxes have been paid for the five-year period, not certified proof of timely payments. Assembly Bill 1684. And after keeping up appearances for 5 years, you still may not take title to the home. Keep any and all paperwork and be able to present it to law enforcement or neighbors. This type of possession can be very dangerous. You’re safety is the most important aspect of any home acquisition. Bank of America has been engaged in a pilot of the principal reduction program since February, and is now moving into full participation to provide assistance to more qualified homeowners facing hardship. Bank of America is one of the largest servicers of single-family mortgages in California. I heard of a few clients that were offered a principle reduction with Bank of America. Fannie Mae and Freddie Mac loans WILL NOT be included in the program. BofA will also participate in two other programs using Hardest Hit Fund (HHF) money. They include a mortgage assistance program for the unemployed, which provides up to $3,000 per month in aid, and another initiative to give up to $15,000 to help delinquent homeowners pay off past-due balances on first liens. With the significant increase of foreclosures, many are losing their homes. Where will these families and individuals live? Will they move back home, to another state, or Southern California? The stigma of foreclosure has lost its sting. 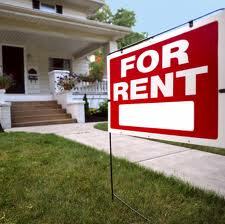 Many landlords are open to renting to families that have had a trying situation with the real estate market. There is hope for homeowners. It is a very competitive rental market even with the higher rents. This is a quick list of where to find rentals in the Bay Area. Please provide any feedback on what you found useful.